The second episode in Telltale’s Game of Thrones series, The Lost Lords, is due out next month, but you can get a taste of what’s to come by watching the first look trailer. It’s really more of a here’s the nice things that people said about the last game and a glimpse of the next one, but that’s not a snappy title. Slap your eyes on it below. IronFrom Ice, the first episode, was the first time since Telltale developed their hallmark adventure game style that it felt like they were playing with someone else’s toys. 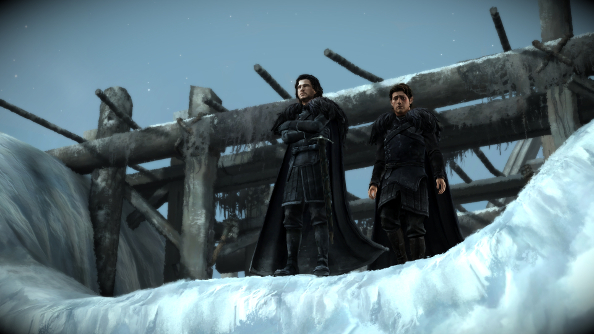 In The Walking Dead, The Wolf Among Us and Tales from the Borderlands, the studio made each world their own, but there was little of that in Game of Thrones. Without spoiling too much, it follows the misadventures of House Forrester as they attempt to mimic everything the Starks do. It’s all just very familiar and safe. But in the next episode we get to bugger off to Essos, which should be a bit of fun, and Asher strikes me as a man of action, something the last episode sorely needed after the first diverting scrap at the beginning. It’s due out on February 3rd.